Payment services are an alternative to collecting payments via credit card directly at the time of order entry. With payment services, you can show a link to a credit card payment form directly on your invoices. When NAV-X Credit Card is installed, a payment service called “EBizCharge Connect” is already created. You have to enter your credentials, which you receive together with the test or live merchant account information. Details on how to enter them can be found here. 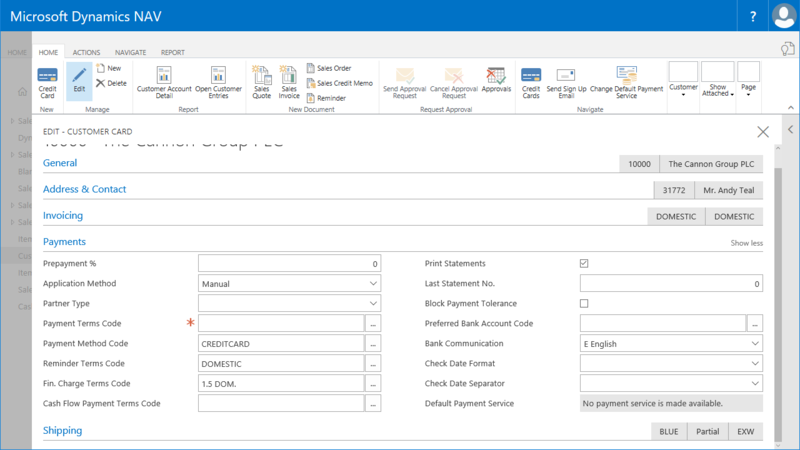 In addition to defining the EBizCharge Connect payment service as the default payment service for all documents or defining a specific payment service on a document, you can also define a payment service to be used as the default by customer. This can be done with the “Change Default Payment Service” action on the Customer Card. If you have not enabled any of the configured payment services yet, a message will be displayed for you to choose between setting up and enabling an existing payment service or creating a new payment service. 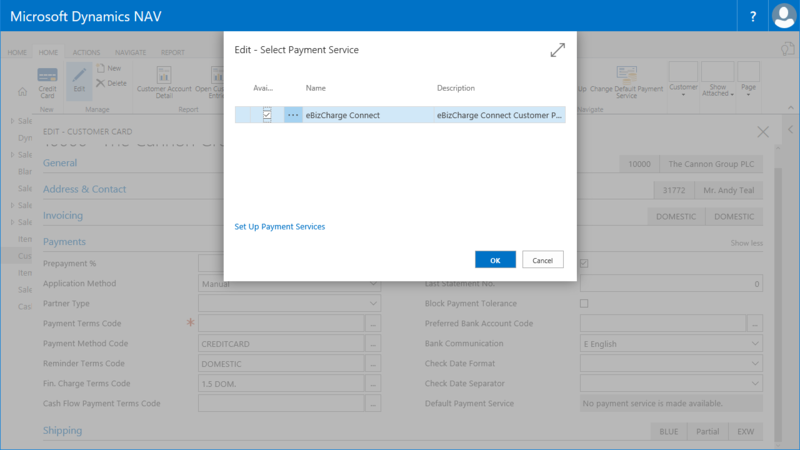 If you select to setup a payment service, a list of all existing payment services will be displayed and you can complete the setup and enable the EBizCharge Connect Payment Service as described here. Once you have an enabled payment service, you can select this one from the list of available services, which then will be shown in the field “Default Payment Service” on the “Payments” fasttab on the Customer Card. 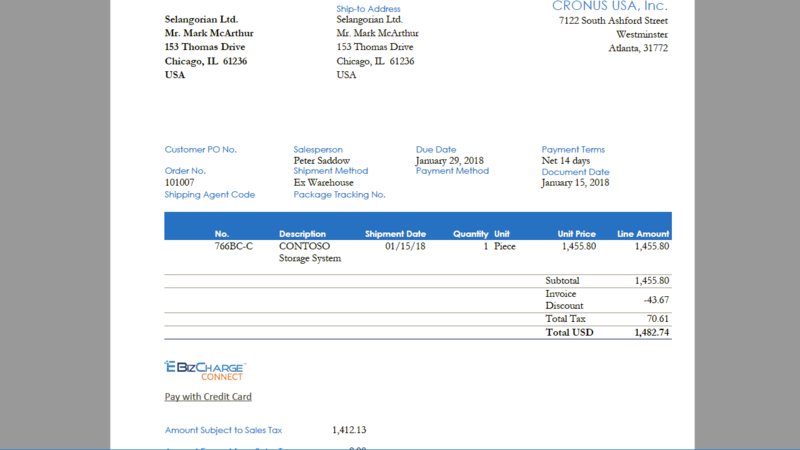 All invoices for this customer will then have a link shown that the customer can follow to pay their invoice. When the customer follows this link, a payment form is displayed and your customer can securely pay via credit card. 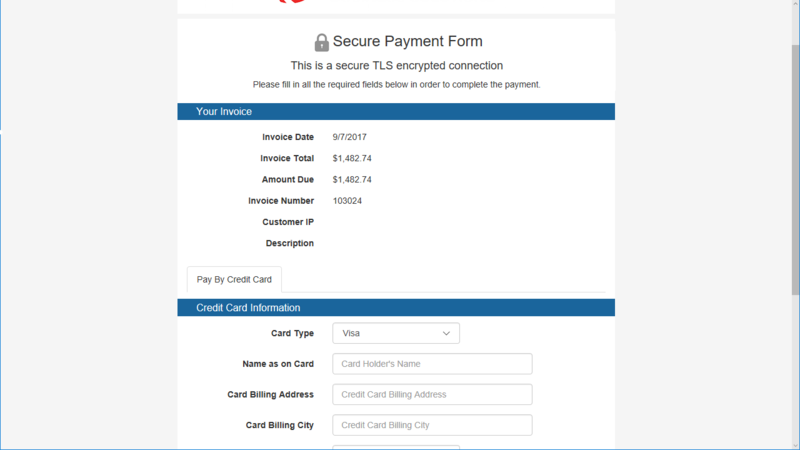 This payment form can be customized to match your website look. Please contact the gateway for details and assistance. You can send an email from the customer card to your customer advising them to sign up at the portal and use this to enter their credit card information. This is done through the action “Send Sign Up Email” on the Customer Card’s ribbon. Please read here for more details. Do not save your customers credit card information anywhere other than in NAV-X Credit Card, which is designed to be secure and to protect your customers’ credit card information. Do not ask your customers to send you their credit card information via email, since email is unsecured. Doing so could make you non compliant with PCI regulations.